The Spanish real estate market is experiencing a rise in the number of foreign investors heading to the Mediterranean country, particularly from the UK, Belgium, Sweden and Russia. The Costa Blanca remains one of the main destinations chosen by anyone looking to buy property in Spain, due to its sandy beaches, its warm climate and its rich gastronomy. The number of foreign people purchasing properties in Spain continues to grow, whilst prices are still falling. Despite the initial confusion sown by Brexit, the British continue to be the largest group of buyers of Spanish properties, followed by the Russians, who very much favour frontline beach properties and luxury property in Spain. The price of property in Spain has fallen by around 40% from maximum highs in 2007, creating profitable investment opportunities. If you are considering buying property in Costa Blanca, don´t wait till prices go up. There is much to choose from! 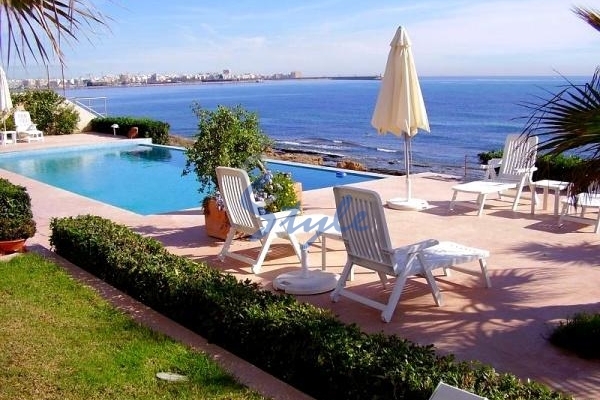 We at E-Style have a huge portfolio of properties for sale throughout the Costa Blanca area, including such popular places as Villamartin, Playa Flamenca, La Zenia, Cabo Roig... Call us now!